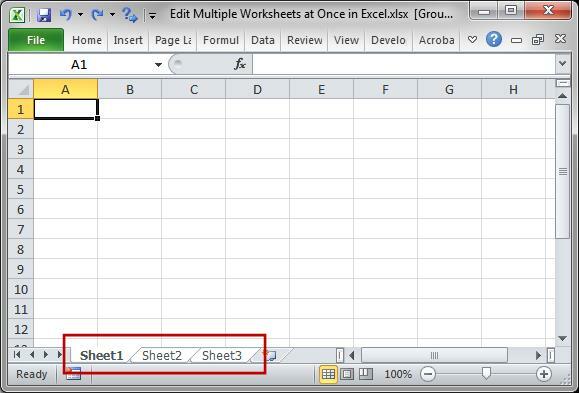 Excel: Entering Same Information in Multiple Sheets - Something New Everyday! 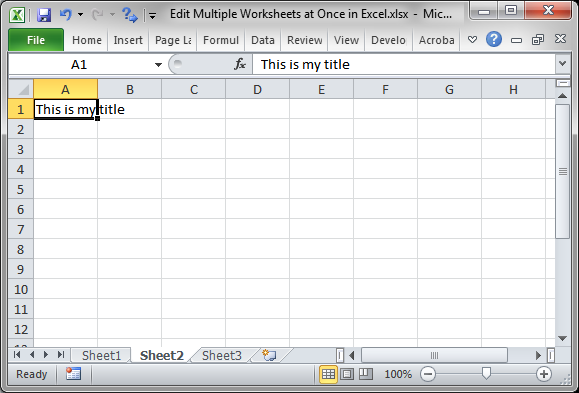 How to edit multiple worksheets at the same time; this includes adding, editing, deleting, and formatting data. Hold down the Ctrl key and click each sheet tab that you want to edit, or hold Shift and click the last tab to edit to select all tabs in the middle. 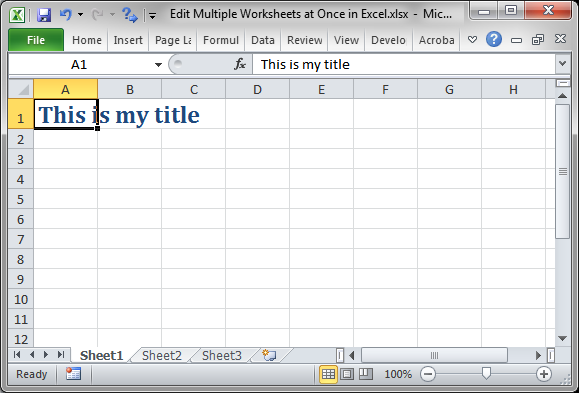 Once you hit Enter or navigate to any other tab, you will see that what you did was copied to all selected worksheets. This also works for formatting. Be careful when using this feature! If there is data in the worksheets that are selected, it can be overwritten and Excel will not give you a warning about this. As such, you should only do this with worksheets that are formatted exactly the same or that start out empty, like in my example. To deselect the tabs, click any tab when all are selected or click a non-selected tab. 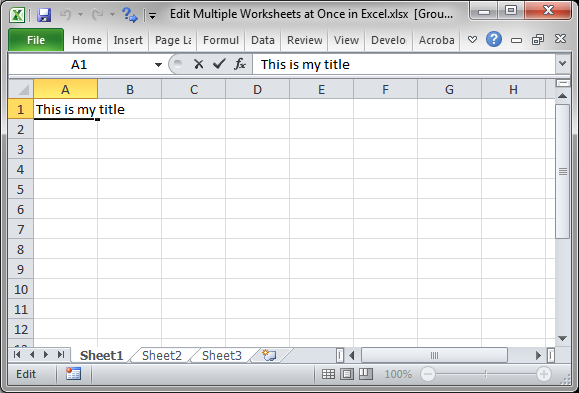 Download the sample file for this tutorial if you'd like to work with the above example in Excel.